Basically I am a “blue-collar guy”. It is the world I come from, a world of hard working, hard drinking construction workers, cops, long-shoremen, firemen, railroad workers, bus drivers, truckers, sanitation workers, etc. who were, for the most part, family men who loved their God, their families and their country---unconditionally. Consequently, if you would ask me to describe my work as a writer I would call it “blue-collar” meaning that I believe my work is simple fair, easily readable, no-nonsense, minimally superlative, and flows quickly. There is lots of dialogue and my tendency to be omniscient is obvious. I think that is because the characters and I are part of each other and I know what they are thinking. What about your latest release? 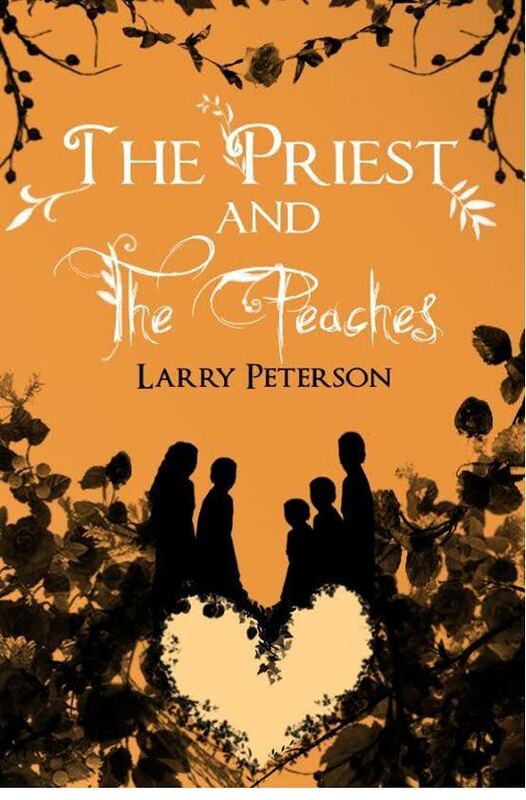 “The Priest and the Peaches” officially launched on January 1st of this year. It is a story about five, newly orphaned kids growing up in the Bronx during the 1960’s who are now on a quest to remain together as a family. They have no money, the rent is past due, the utility payments are behind and the younger boys need clothes. Teddy Peach 18, is the oldest and he is determined to keep the family together but outside forces are at work trying to get the younger boys, aged 14, 10 and six, into a “properly supervised environment”. Enter Father Tim Sullivan, the local parish priest, who quietly acts as their guide as they begin navigating the turbulent waters of “grown-up world”. Ok, let’s get down to the fun stuff. If you were stranded on a lush tropical island, and all of your basic needs were met, what two items would you have with you? What person would be with you? Remember, you’re stuck there for an indefinite period with only each other to occupy the time. Well, I would probably like to have a bible. You can read it over and over and discuss it with the person who is with you. Since I am a mid-60s senior citizen I would also like (you ready) some denture cleaner. The person I would like to have with me would be my wife. She always has my back and my best interests at heart and could more than likely figure out a way to prepare the food that was available. If you could play opposite any of your lead characters, which one would it be and why? Probably, Dancer. He’s young, impetuous, and contrary. He would try to BS me but I am wise to him. I know that in due time I’ll wear him down and he’ll be the kid he should be. Plus, we love each other. If you could lead any of your secondary characters, which one would it be and why? I’m thinking the drunken attorney, Tom Hagenjack. Underneath his perpetual, drunken stupor is a kind man who is simply a victim of his own addiction. Maybe I might be able to reach out to him and help him get sober even though I know it is something only he can do. You’re locked in a closet with Johnny Depp, Colin Farrell, Kate Beckinsale, three paperclips and a string. How do you get out? Well, I would not worry about them or the paper clip or the string. I would just kick the door down (trust me, I can do it) and walk out. I would make sure that they are all okay and then be on my merry way. Name five things you can do with a pencil. Print & write, sharpen, erase, sketch and use as a weapon. Who’s your favorite character from your book(s)? Why? Don’t worry, we won’t tell. Father Tim Sullivan. This man grew up in the “Hell’s Kitchen” section of Manhattan down by the docks. He is street wise, and tough yet has a simple faith which allows him to see the Hand of God working even amidst chaos. He is not preachy, heavy handed or authoritarian, and has the ability to make folks smile. There should be more people like him. You have questions? Larry has answers! *Coffee, tea or chocolate and why? Coffee for sure---When I put the key in the ignition I want that old engine to start right up. *What one animal do you think fits you the most and why? Oh, I don't know. Probably a chimp---funny and unpredictable. *What does reading mean to you? It is very important to me yet I don't read nearly as much as I would like to. *When and why did you begin writing? I probably began in grade school because of assignments. I sort of liked doing it and began writing little things on my own. *When did you first consider yourself a writer? This might seem weird but I am just now beginning to consider myself a writer. I am a bit insecure in believing that I am actually any good at it. *What inspired you to write your first book? The seeds for my first book, ( a children's book) "Slippery Willie's Stupid Ugly Shoes", were planted by a foster child we had years ago. His name was Brian and he was three years old. He was totally hyperactive, off the walls with no self-controls whatsoever. He would get up from a chair and run smack dab into the wall. He would eat anything--grass, the bark from a tree, pebbles. One time my wife was cleaning him after he went to the bathroom and and she started pulling this thing from him and a rubber band snapped out. (You can't make this stuff up). Anyway, Brian would slip and fall, spin and fall etc---amazingly, he never got hurt. "Slippery Willie" is nothing like Brian except for the slipping and sliding..
*Do you have a specific writing style? *What was your life like before becoming an author? I worked in the building trades in NYC for 15 years, came down with MS, had to stop doing that, moved to Florida for the warmer weather (no ice to slip on) went to college, began writing newspaper commentary, got healthy enough to do some home-repair work. Nothing earth shattering, for sure. Now I am officially a senior citizen with grandkids and a bald spot enjoying my "permanent senior moment" as a writer. *What sparked the idea for your series? I'm not sure if it will be a series. I am working on the sequel so we'll see how that plays out over the next few months. *What was your favorite part of the book? The ending and I am not going to give it away. 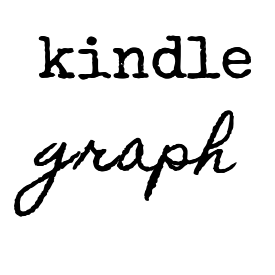 *How personal is your writing? I'm not sure. I hate talking aout myself but being in this business I guess I have to. So, I am becoming more open about things. I have tried writing in the first person but all those I's drive me crazy. I don't know--maybe I am more personal than I think I am but I blow it off because I am using the characters instead of myself. Hey--you gave me something to think about. Thanks. *What advice do you have for someone who would like to become a published writer? Make sure your stuff is properly formatted (grammar, spelling, punctuation, capitalization etc.) Then-- keep at it. *What is your favorite authors/books? I always go back to Hemingway's , "Old Man & The Sea" for its simplicity and its ability to let you feel the love and caring that flows between the old man and the boy and, of course, between the old man and the great fish he must kill. I like C.S. Lewis also. *If you could have dinner with one person, dead or alive, who would it be and why? "Honest Abe" Lincoln. To me the greatest of all presidents. Brilliant mind, patient man, loved his country and brought it to reunification yet maintained his humility and simplicity throughout his life. *Tell us your latest news? Well, of course the new book has just come out and I am working on the sequel. More to follow. "Have They Lost Their Minds? Get Out of My Faith!" I'm tired. Not because I am a senior citizen or because my back hurts or because I am a cancer survivor or anything like that. All that stuff is GOOD. 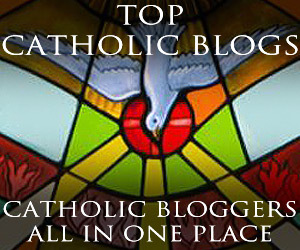 I am tired and worn out from being slapped upside the head because I am a catholic. Yeah--I am a blue-collar catholic guy who loves his faith and his church and that is all there is to it. My three priorities are; God, Family, and Country--in that order. But, no one ever bothered me about that. God bless the framers of the Constitution. Were they SMART. Freedom of Religion--the very FIRST amendment. God bless em---because those folks knew what kind of lid had to be placed on the pressure cooker of diversity that was to be America. Religion was the thing that transcended law. It made things either right or wrong. It said yes and no. Ah, "yes and no"--how archaic to so many in our sophisticated and secular 21st century world. Yet, how beautiful and reassuring to so many others. Such a paradox. Okay--I, as do so many Catholics today and throughout the centuries past, like to, on occasion, pay a "visit" to our church. It doesn't matter where the church is located. Anywhere in the world it is the same. Jesus is there. For real. We believe that. We know that for a fact. It is a faith thing. We can stop in for five minutes just to say HI Jesus. Or we can sit in His presence for five hours and just talk or not talk. If you have a problem with that--oh well. Freedom of religion---remember. For those who believe no explanation is necessary--for those who do not believe, no explanation is possible (unless you really want to have an open mind and check it out). So--what's my problem on this Memorial Day? Well, first of all I thought that we were supposed to live our faith the best we can, 24/7. I mean, when I leave church, is that it? Forget all the morality and faith and good works. The hell with the Golden Rule. Doesn't going to church and attending Mass and sometimes making a "visit"prepare me and fortify me to leave that place and go out into the world? Am I now supposed to, by LAW, leave it in church. 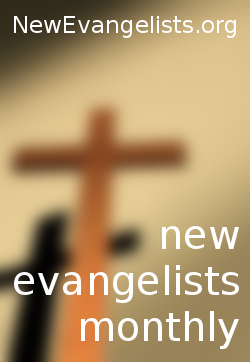 My problem is that it seems that the Obama administration has sent forth a pseudo-catholic by the name of Sebelius who is now standing outside my church telling me just that. She and her other pseudo-catholic buddies like Biden and Pelosi and Kerry et al: are telling me that as long as I am in church I can follow my faith. Once I leave church I had better follow the rule of law as set forth by the administration in power or face a hefty fine or even imprisonment. 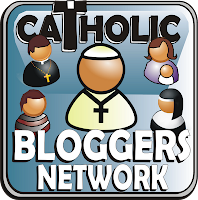 They have even suggested that the church has declared a "war on women" because the church refuses to give contraception and abortifacient drugs. Have they LOST THEIR MINDS? President Nixon signed Title X into law in 1970, 42 years ago, and contraception on demand has been available all over the country ever since. Anyway, that's why I am tired. Tired of this unrelenting attack on my faith supposedly being waged under the banner of virtue. What a crock. 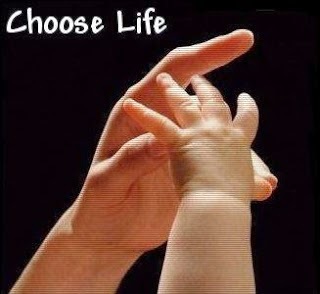 Maybe we should close all the catholic hospitals and foundling homes and catholic charities and the St. Vincent De Paul Society and HIV/Aids centers and homes for the deaf and the blind and shelters for the homeless. HAVE THEY LOST THEIR MINDS?? Hey---get out of my faith. Can you tell us a little about yourself and how you came to be a writer? I come from one of the many “blue-collar” neighborhoods that are spread all over New York City with my particular neighborhood being in the Morrisania section of the south Bronx. The vast majority of kids I grew up with went to Catholic school (including me) and the prevailing mindset of the people was love of God, family and country, in that order. That was “way” back in the 1950s and today I have graduated to senior citizen with a bunch of grandkids and I qualify for discounts on all sorts of things from coffee to car-rentals. Writing was always in me and I scribbled this and that for years. Then I began doing some newspaper commentary about 20 years ago. That was on a part-time basis and lasted for about five years as various newspapers went belly-up. 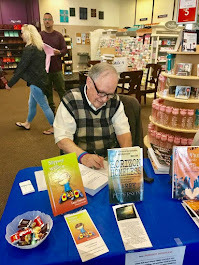 I only began to write seriously about five years ago and it has become (as I like to say) my “permanent senior moment.” I love it and there is no turning back. 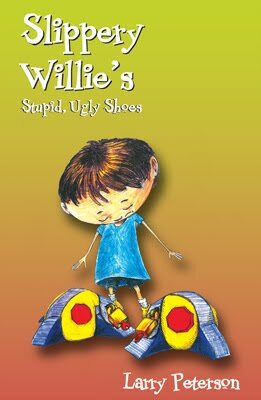 My first book, Slippery Willie’s Stupid Ugly Shoes, a children’s book, came out in Jan. 2011. The Priest and The Peaches is my first full length novel which launched Jan. 2012. Tell us a little about your book The Priest and the Peaches. Thinking about the whole writing process, what is the easiest part of the process for you? What is the most difficult? For me, the initial process begins with pen and paper. This might be the easiest. It is like my brain is a dump truck loaded with all of the necessary materials to build a house. The paper is the property where the house will be built. So I dump it all in a big pile on the paper as it pours out of my pen or pencil. Now all I have to do is figure out where everything goes. Onward to the keyboard to sort this mess. That’s the hard part. The hardest part is the final inspection prior to public viewing. Do you have any routines or rituals when you are writing? No, not really. I do work in the mornings though. Finish in the early afternnoon. That’s my ideal but even that is interrupted many times. The challenge is to avoid the interruptions but it is easier said than done when working from home. Finally, can you tell us a little about what you are working on now? I have begun the sequel to The Priest and the Peaches and already it has taken an unexpected direction. More to follow. Good question. For starters, let me say that although this is primarily a work of fiction, all fiction (at least in my mind) comes from, in essence, who we really are. My brothers and sister did lose our parents when we were very young and, trust me, it was quite the everday adventure moving forward. Having said that I must admit that I never planned to write a book based on any of that. Anyway, about five years ago our brother, Bobby, died unexpectedly. We all are very close and it was a tough time. At the funeral we were sitting around reminiscing about the "good old days" and all of the crazy stuff that had went on back then. We had a great time and laughter and back slapping ruled and this was at his funeral. For me, it was a beautiful thing. So I guess his funeral is what "drew" me to eventually write the book based on things that happened 45 years ago. Like I said, the book is fiction and many of the characters and incidents are fictional. The five kids are based on real people. My daughter, who is a social-worker, believes I did this for therapeutic reasons. Maybe I did. I don't know. It is so sad to think of five kids dealing with the death of their father, what is the beauty behind the sadness? The beauty behind their sadness lies in the fact that they were able to join together as a family and to be able to L-Y-N (love your neighbor) as they began their separate journey's through life. It was a legacy from their deceased father who had bequeathed that quality to them. What is your favorite part about your book, no spoilers, if possible!! The ending and I won't spoil anything by mentioning it. I was born and raised in NYC (South Bronx). I guess I began writing back in grade school doing short short stories (today they call it flash fiction) and things like that. That’s probably where I got the “itch”. I was very undisciplined as to my writing habits and needed to take charge of that. Now I am up by 6 a.m and clean up messages and such from the previous evening. Then I go to 7 a.m Mass, return home by 7:40 and get busy with the writing. I do that until around 12:30 or 1 p.m, take a break and then go back to sort out messages and do the necessary social-networking. When working at home it is easy to let distractions get in the way so my discipline is still a work in progress. The book is about five kids who have already lost their mom and now, during the Christmas season, lose their dad. They are determined to stay together as a family and their primary guide in this journey is the parish priest who, in his own quiet way, always seems to “have their back." It just seemed to me that this was a good time to tell a story about a family of kids who, because of the nurturing of their deceased parents, realize the importance of being a family and are determined to remain so, no matter what. I have come to learn that I was where I was when I was there for a reason and when I was there I did my best to always do the right thing. That may sound “shmaltzy” but that’s me. You must be tenacious, be ready to accept criticism and rejection and never give up. No matter who says what. I am working on the sequel to the book and, as of now, I do not have a title I am sure of. My head goes in different directions so I am never sure where it will take me. After that is finished–who knows? I have started writing the sequel to “The Priest and The Peaches”. This will see the younger boys go to rural New Jersey for their summer vacation to stay with friends of Father Sullivan’s. Things will happen and we shall delve into the paranormal, no vampire or zombies, but rather a good vs evil thing. That’s all I can say right now. How do you respond to a reviewer if its not favorable? Unfavorable reviews should be welcome (unless they are all unfavorable—then you might have a problem) because you can learn from them. It is nice to get a different slants or POVs from people you do not know. It can only help you as a writer. How do you advertise your work? Well, Facebook, Twitter, LinkedIn, and, of course, these type of reviews and guest blogs and interviews etc. I am weak in this area but hopefully I’ll get better at it as time goes by. Do you have daily writing goals you set for yourself? Not really. Some people want to make sure they do so many words a day etc. I can’t do that. ---my goal is to write something and to discipline myself so as not to be distracted by ‘stuff”. When you work from home all sorts of things go on and you have to stay on track as best you can. So, sometimes I can throw down 10k words. Other times I might get two paragraphs done. I am what I am and that’s me. Do you belong to any writing chapters and how do you feel they help you? 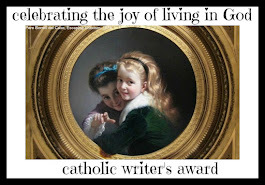 I belong to the Catholic Writer’s Guild and I do post a blog for them about once a month about writing. I listen to the feedback and it helps that way. From the most brilliant scientist, Albert Einstein, who managed to see beyond his own gift of brilliance. "Curiosity has its own reason for existing. One cannot help but be in AWE when he contemplates the mysteries of eternity, of life, of the marvelous structure of reality. It is enough if one tries merely to comprehend a little of this mystery every day. Never lose a HOLY curiosity." I have started writing the sequel to “The Priest and The Peaches”. This will take place during summer vacation when the younger boys go to stay with friend’s of Father Sullivan’s who live in rural New Jersey. We venture into the paranormal with this story. No vampires or zombies or anything like that. It will be more about good vs evil. It is a work in progress and has a long way to go. What will I as a reader like best about your hero? Teddy, 18, even though frightened of his circumstances and all of the unknowns he must confront, plods forward doing his best for his family. It’s not always “pretty”. I think you have to admire him for that. How will women identify with your heroine? I’m not sure. Joanie was only 13 when her mom died. She was surrounded by an all male household and was thrust into the unintended position as ‘woman of the house’. I would imagine that women might feel sorry for her, secretly admire her and never want to be put in her position. Is your muse currently sitting on your shoulder or is she illusive? My muse is a scatter-brain. I wish I could slow him down sometimes and make him focus more. I think he has ADD. I always go back to Hemingway because of his “The Old Man & The Sea”. A simple read but powerful in that you can feel the love and respect between the old man, Santiago, and the boy, Manolin and even the sadness in Santiago’s heart when he knew he must kill the great fish. Beautifully done. 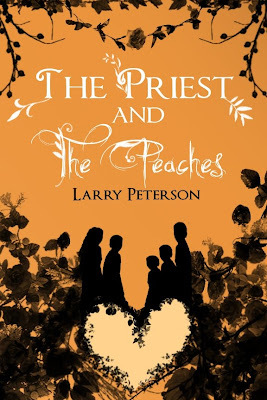 The novel, THE PRIEST AND THE PEACHES, is the story of five children left to manage on their own. It is a story about love and blind faith. A faith that was taught to them by their parents and by their priest. It is a faith that a lot of us have lost. The children carry on as best they can, with the expectation that all things will be alright. I laughed, I cried and then I laughed and cried at the same time. I have not enjoyed reading a story like this one in a long time. It is a story that will make you believe in miracles. But not big, flashy miracles, miracles that just happen because you believe and expect them to happen. The priest in this story is excited about his faith. He believes in the power of prayer and help from the saints when you ask. He is joyful when all else fails. One aspect of the story that touches you is the fact that we judge people by our impressions of them. What we have seen and what we think we know. But there is goodness in all people. And the children only know part of the story of their father, who has left them now because of his drinking and they have no one to turn to but themselves. It is a story of believing in each other. The children respect each other and trust each other. There are disappointments along the way, and they learn many lessons in life during their adjustments, but they also see what they expected; warm, loving people who are there for them, when needed. I really enjoyed this book, and encourage all to read it. Definitely the past. The future will take care of itself. Food, water and a book, preferably the Bible. There is a lot to read and you can read it over and over and still learn. Hemingway's "Old Man and the Sea". It is short yet powerful showing the love between a poor, old fisherman and a boy and the deep respect they have for each other. Abraham Lincoln. The greatest president, full of wisdom, insightfulness and patience. Loved his country unconditionally yet through it all remained a simple man. People just butting into to others who are having a conversation and couples in restaurants where one finds it necessary to talk on their phone. Leave the damn phone in your car. You can always call back later. This book reinforces basic family values and also demonstrates the the quiet yet important work always being done by so many GOOD priests. I am working on the sequel to "The Priest & The Peaches". My goal is to finish that. I can only do one thing at a time. Interesting question---I don't know that I was "inspired" to write. I think I just like doing it. Being told by someone you do not know that they REALLY loved your book and knowing it comes from their heart. It doesn't get any better than that. Just keep at it, accept rejection gracefully, do the best you can and do NOT quit. I didn't know. Even though I loved to write I don't think I ever actually thought I would one day be an author. Judson Bailey, an old time reporter and editor for the AP who passed away many years ago told me "just be yourself". That's what I try to do. I never try to imitate anyone or anything. It's part of the busness. I try to learn from the negatives. You can never please everyone. OK--5:30 to 6a.m--get up. Turn on computer, check messages. Leave at 6:45 for 7a.m Mass. Return home at 7:45. Work on writing until about 1:p.m. Grab some lunch, get in a couple of mile walk, return home. Check mesaages again, do some of the social-netwroking stuff that need to be done and wrap that all up by 5. Dinner about 6, some TV or reading and in bed by 10. That's bascially it. I do watch football and baseball when on. Sort of boring but it works for me. 2. Coffee, tea, or milk? 3. What else can you do besides write? 4. Who are you reading right now? 5. What is the toughest scene you ever wrote? 6. Do you outline your stories or do they just take you along for the ride? Regarding "inspiration." First of all I really do not think that I was inspired to write or to be a writer. As a kid, I just liked to write "stuff". I believe the inspiration comes after the fact. For example, two six-year-olds might simultaneously begin taking piano lessons. One has no interest and just goes through the motions. The other is intrigued and plods forward. The first falls by the wayside. The second begins to play and understand the music and the instrument. Lo and behold, here comes the inspiration to create his own music, to tap those keys making his own sound in his own way. So, for me as a writer, the inspiration to write about different things and say things in my own way came about because I liked to write to begin with. I scribbled this and I scribbled that and kept on scribbling. For me, there were long pauses between the scribbles but I never lost the desire to scribble and kept at it. The way I see it, inspiration is triggered by the people, places and things that we encounter and experience. A friend of mine might introduce me to a friend of theirs and my mind will begin a journey, intrigued by the way that person said, "Hello", or by the manner in which they looked at me or the clothes they were wearing or whether or not their shoulders were slouched or not. They will be unconsciously placed in my mental Rolodex for future reference as a possible character and I do not even know it at that moment in time. Some one else would never give that person a second thought. Lastly, you asked me to give you an idea about books I read to relax. What I do is, I go to my library and they have a rack of used books in the children's section. Many of them are YA novels. They are older books and are all for sale. They charge about 25 to 30 cents per book. I picked up four yesterday afternoon. Total cost, including tax, $1.29. That will be my reading for the next week or two. It's great. 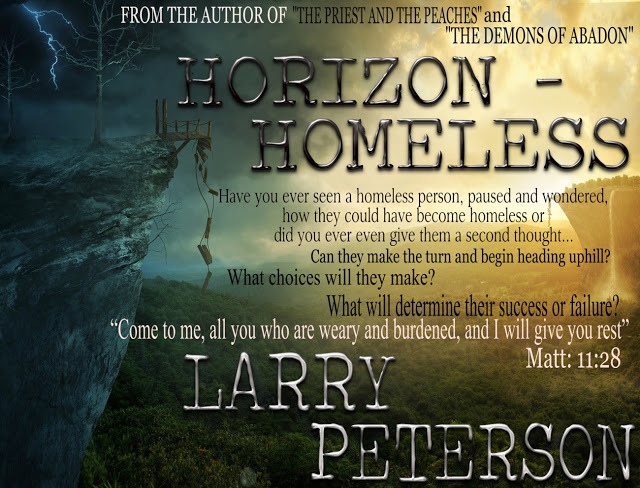 When I began to write The Priest And The Peaches it was taking place in the present. The Peach characters were adults, had families and careers and flashbacks were taking place during dialogue that transported the reader back in time. After about 15k words I left it alone for a few days and when I returned and read it I promptly tossed it. It was too confusing the way it was being presented. I mention this because when I tossed it I also tossed several characters that may, down the road, reappear. Actually, at this point in time, I do not remember who they were. Bottom line, I am glad I did it. If I had not I may never have met some of the characters that followed them and are in the book. For example, the antagonist herself, Beatrice Amon may never have been. Other folks like, "Migraine" Magrane and "Fadeaway" Walker, and even Mr. Levinski, a.k.a "Humphrey Pennyworth" - I would never have gotten to know. I had a lot of fun interacting with these folks, even if they had minor roles in the story. Oh yes, "Little Red" Coffey. I certainly enjoyed working with him. What are five things people do not know? What I have discovered in my brief writing career is the fact that most folks have no idea what the life of a writer entails or the work involved, especially when you write a book. They seem to think that you sit around with a pen in your hand or a keyboard on a big wooden desk that overlooks a pretty lake with swans slowly moving about while you pen or peck away creating fabulous prose. Yeah - right! They do not know about the hours upon hours of re-writes, of editing, of proof-reading and then doing it over again and again. They do not know - well, to be fair, I guess I don't know a lot about their stuff either. I do know this - I'm not about to trade places with anyone. TEENS & KIDS---No Mom, No Pop, No MONEY ---OH MY !!! President Obama's campaign web-site has given us the Obama Woman, a gal named "Julia" who we follow in cartoon form from age three through age 67+ . Julia's life, from the formative years and onward, has been guided, nurtured and embraced by and through government programs such as: Head Start, Medicaid, Food Stamps, Obamacare, Pell Grants for education etc. There is never a mention of Julia having parents or siblings or any family at all (they had to be in the mix somewhere but I guess their impact on Julia's life was minimal). Finally, as Julia's wonderful, carefree and orchestrated life winds down, she finds happiness in her senior years as a volunteer in a "community garden". May I present the JULIA alternative--JOANIE. Joanie Peach is 17. She did have parents but they died. Her mother, when Joanie was 13, and her dad when she was 17. She has an older brother, Teddy, 18, and three younger brothers aged 14, 10 and 6. They are orphans. Yup--Joanie has had multiple roles in her young life: daughter, sister, replacement mom, high school student, cook, house-keeper, household budget manager, grocery shopper, meal planner, and, of course, nurse in charge of all the cuts, bumps and bruises that little boys seem to attract. I have to be fair--this did take place "way, way", back in the mid 1960's. That was a time when the all embraceable and benevolent government was just beginning to get into the "nanny busines". Consequently, folks (for the most part)counted on their family, friends and church to help them through difficult life challenges. Joanie Peach and the parentless journey of her and her brothers begins in the YA novel, "The Priest and the Peaches", the first book in a fictionalized (like Obama's, Julia) series that will follow the life of these kids. Joanie and Julia are quite different. 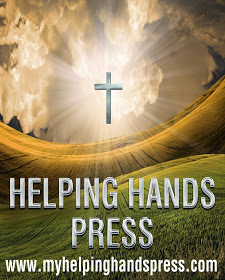 Why not spend a few bucks (it is an ebook) to see HOW different and how the faith, strength and love of God and family can be the foundation that binds and lifts folks together no matter what life may throw their way. Here's a bit about the "writing process." Just remember that this is MY way and, since I am (like my books) a work in progress, this process may metamorphosize into something else as time goes by. Having laid out the disclaimer which comes from my insecurities, let me begin. For me, the initial process begins with pen and paper. This might be the easiest. It is like my brain is a dump truck loaded with all of the necessary materials to build a house. The paper is the property where the house will be built. So I dump it all in a big pile on the paper as it pours out of my pen or pencil. Now all I have to do is figure out where everything goes. Onward to the keyboard to sort this mess. That's the hard part. I know where the foundation will go and I can see the finished product with its roof, doors, windows, shutters and even the landscaping. That is the "big picture". But I have not been inside that house nor have I painted the outside. I still have to install plumbing, heating, electrical, cabinets, sinks, decide on colors etc. Okay, I have seen the "big picture" and now I have to figure out how all of those NECESSARY parts will fit together. As I write there are many changes that continually take place. By the time I have finished I have re-constructed that house many times. As far as the characters are concerned (those folks living inside the house) I want the reader to get to know them in a way that they want to know more about them. As I write, these folks develop and sometimes I am even surprised when I find out who they really are and what makes them "tick" or what they are capable of. It is like meeting real people. Sometimes you might meet someone and become life-long friends. Then there are those who initially impress you but you find out soon enough that you just do not "connect". That is the end of that. So, that is the way with me and my characters. As far as The Priest and The Peaches is concerned the idea came to me at my brother's funeral several years ago. There were five of us and we did lose our folks at an early age. But I had never considered writing about it. Then, after Bobby's funeral, my sister, brothers and I, were reminiscing about our early years. One thing led to another and we were laughing like crazy. All of us had different memories of a shared time in our lives and it was a beautiful afternoon for all of us even though we had just buried our brother. That is when the idea for the book began to germinate. However, it is a work of fiction. I just seized that moment in time and ran with it. I have described writing a novel as akin to building a house. For me, the overall concept is in my mind. The blank paper is the land where the house will be built. Most of the building materials are on the truck waiting to be unloaded. The only problem for me is I do not have any blue-prints to follow so I have to figure out where everything goes without direction. Many writers outline carefully (blue-print) and some synopsize from beginning to end (build a scale model). I synopsize after the fact (more or less jotting down where I have been after a few chapters so I have reference to the thousands of words already written). I am more or less considered a "pantser" (flying by the seat of my pants) and it is a method frowned upon by most experts. Another way to look at the process of novel writing is as if you are on a cross-country journey. The first couple of hundred miles are more or less a straight run on the interstate and you just breeze along with nary a bump in the road. Suddenly there is an unexpected detour ahead and you are sent in another direction. You make a wrong turn and discover that you have no idea where you are. Where is that darn highway? You stop and ask directions (thinking) and write them down (different ideas) and the person who gave you directions becomes a new character. You begin to drive and "thumpa-thumpa," you blow a tire. Uh oh--the spare is flat. You have had enough and decide to stop at a motel so you can relax and regroup. Ultimately, you fight through the adversity (write-edit-write-edit-write) and keep on going. I hope you get my point with all of this. You will always hit the proverbial "bump in the road". Sometimes you will wind up in a ditch. You have to deal head-on with all obstacles. The goal is to finish the journey. The entire process will more than likely prove to be a lot more challenging than you ever thought. But you MUST keep on truckin' - sooner or later you will reach the end of the journey. Sidebar: If some of the young folks out there would like to get an idea of how it might be to have to fend for themselves and take care of the "business of life" they might enjoy reading The Priest & The Peaches. Not all kids come home to an X-Box 360 or a Wii, and a mom who is there to feed them and tuck them in. As far as dialogue: I try to write just the way people speak. I use slang ie; "ain't got" or "I dunno" depending on the character speaking. I also try to dialogue interaction where there is a minimal amount of "he saids" and "she saids." I try to do it in such a way that the reader knows who is speaking even though you are not saying who is speaking. That can be a bit tricky at times but I think it is important to do. Also, try to avoid long winded dialogue and speeches. Get it done in one or two sentences if possible. To finish up let me just say that, as a writer, I am a work in progress just like my books. I am not too concerned how big or how fancy the house will be. My goal is to build something well crafted, durable and long lasting. When I wrote The Priest & The Peaches, I did not anticipate it being classified as historical fiction. The story takes place in the mid 1960s and I grew up in the '50s and '60s. I always thought of "historic" as being way before my time, not during my time. The first thing I had to do was make sure I was not dead yet. I calmed down when my own left hand smacked me in my head and I heard myself say, "Oh man, get over it." I realized I was still breathing and I got over it. The point is, I am far from being an authority on writing historical fiction. Since I actually experienced the point in time I was writing about much of my needed research was already categorized inside my head. All I had to do was begin opening dormant files that I had forgotten about. The writing helped me to open them. Somethings I did have to research such as clothing styles, hair styles, prices, automobiles and things like that. Otherwise, I had it easy being historical. I do love history and there may very well be a historical work in my future. It may even have to do with the early Peach family going back to when their American journey began at Ellis Island. Here is what I can tell you. If you truly want to write historical fiction you must travel back in time (books, internet, letters, photos, etc) will help you get there. You have to "see" the streets, "smell" the odors, "talk" to the people and understand the culture of the time you are visiting. I might recommend as not only a learning tool but also an excellent read the book, Call Me Kate: Meeting the Molly Maguires by Molly Roe and published by Tribute Books. It takes you back to the 1860s to the coal mining country of Pennsylvania. It captures beautifully the people, streets, homes, and lives including hopes and dreams of the folks living during those days. If you want a good example of historical fiction, check it out. It seems that Damaris (from GoodChoiceReading.com) was, like me, born and raised in the Bronx near Yankee Stadium. Well, Damaris, I am sure you are a bit younger than I so I imagine if you could step back into my Bronx world (I moved to New Jersey in 1967 when I got married) you might find it a bit different. Let me start with "feeling safe." Oh wow... things were definitely different for me growing up. But I also lived on the third floor of a building so our doors had to be locked at all times. I always remember Yankee Stadium being the "not so great" area. The only time it was safe (at least in my eyes) was whenever there was a game going on. There were always plenty of police officers around. A lot of the fields by Yankee Stadium are no longer there. They built a huge shopping mall on them. It really is sad to see how much things have changed in just eight years. I had not heard from my good pal, Jumbo Feeney, in six months. Since the election is now only seven months away I was starting to harbor nervous thoughts about his well being. He always had plenty to say about most topics known to man, especially politics, so his silence was out of character. What was I ever thinking? He called last night and, as usual, was in mid-sentence by the time I had the phone next to my ear. " ---and do you know---hey, Petie, you listening or what?" "Jumbo, stop a second, will you. I just picked up the phone for crying out loud. You could at least wait until you hear me breathing or something." "Fine Petie, fine. Well you're talking so you must be breathing so pay attention. You won't believe this. Okay, okay, you paying attention?" "Well, do you know what 16 trillion dollars means? It's crazy I tell ya---it's mind-boggling." "Jumbo, please---stop! Hold on. What are you talking about?" "Petie, Petie, 16 trillion. That's what I'm talking about. I just sat down and wrote it all down. Do you know how many millions make a billion? Do you?" "Exactly Petie, a thousand million to make one billion. And these politicians talk about billions like it is pocket change." "Well, you are sure right about that." "You bet I'm right. It's not even their money--forget that, that's not the point. Anyway, think about this. If one thousand million equals one billion then one thousand billion equals one trillion, right?" "No guessing, that's right. So it follows that one million million or one million times one million equals one trillion. Hey Petie, you getting all this?" "I think so, Jumbo. Yeah, I got it." "So if the good old USof A has debt of 16 trillion dollars that means the government would have to take ALL the money that16 million millionaires have just to break even. And by the time they collected the money the interest would have made created more owed and it wouldn't be enough and it would add 16 million more people to the food stamp rolls. And we don't even have 16 million millionaires anyway. "Jumbo, Jumbo, stop---you're giving me a headache." "Yeah Petie. You and a lot of other people are gonna have headaches.. Gotta go. Call you next week." 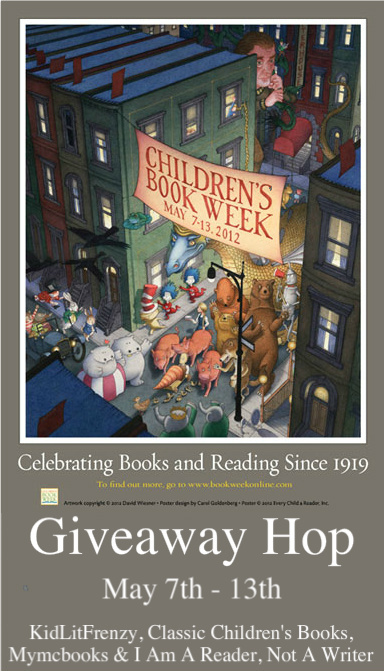 I wanted to discuss writing for young readers. Okay, but remember I am not an expert and, to tell you the truth, I am not even sure what it means to be an “expert” in this area. The whole thing seems ambiguous to me. What I mean is this; many books classified YA are fine for adults also. MG might be okay for some YA readers and then, they might be okay for some savvy readers under eight. MG is classified 8 to 12. YA is classified 12 and up. Personally, I believe MG should range from about 10 to 14. YA should start at 15. My own rule of thumb is that I try to remember that MG kids are still discovering things inside themselves, especially as they head toward puberty. YA readers are discovering things outside themselves, like the realities of the adult world. Where do you transition? I’m not sure. I guess it comes down to some good old fashioned common sense. Now that I have attempted to separate MG from YA what’s next? Okay, I think that MG books should be 125 pages or less and YA books should be 300 pages or less. When I was in high-school (a long time ago) required reading for us in junior year was Gone With The Wind. That was well over 900 pages long and I’m sure, in today’s world, might not be considered YA. So, who is to say? Certainly not me. The best advice I might give – READ YA books that have been out for awhile. I would suggest that your writing should be be honest and straight-forward. Avoid being too “slick” or “tricky.” Kids are too smart for that and you will not win them over. But, you must make them think. Good luck. Also, avoid long sentences. The human brain starts losing focus often after the 20th or 25th word in a sentence. Another thing is I believe that the interaction between and among characters is crucial. Describing places with all the white, fluffy clouds overhead should be less, not more. For example, “At the foot of the steps the water was the color of gray foam,” or “At the foot of the steps, a long, curling string of seaweed lay upon the sand like a chubby snake watching the thin, legged sea gull hop to and fro in the gray foam.” Which do you think is best? You have to decide as you go along. When I was knee-deep into the writing of The Priest and The Peaches I never considered that it might be considered historical fiction. I was of the mindset that I was simply writing a book at the YA level. In my mind “historical” dealt with things that had taken place way before I was but a twinkle in my parents’ eyes. Then the reality of the concept sunk in. The story was taking place during my early years on this planet. I was alive and experiencing those days that I was writing about. I suddenly felt old because I had become “historical” also. I realized that the time frame I was dealing with was almost 50 years ago. I was here and still reeling (as were so many others) over the Kennedy assassination. The Vietnam War was escalating and a close friend I had gone to school with, Stevie O’Shea, had just been killed in action bringing the war home to our neighbourhood. Medicare had just been signed into law. The Voting Rights Act of 1965 had been passed. A year earlier, the Civil Rights Act had also been enacted. There were riots in the Watts section of Los Angeles and The Sound of Music was released. 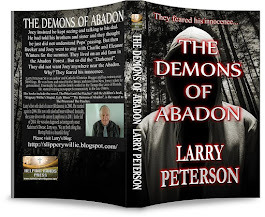 I could go on but it is obvious why this work is classified as historical fiction. I discovered that the advantage for me, as a writer and having actually experienced those days, was that they are part of who I am. The result is, when writing about the time frame, you can “feel” it. You were there and the sounds and sights and people are indelibly embedded in your mind. I did not realize that until I started jarring memories loose, memories that must have been stuck deep down in a hidden cave somewhere in my brain. So many things began popping up. It was like I had stuck a shovel in the ground, dug down and hit a hidden reservoir which contained my past. I was amazed that I was seeing “Joe the Bungalow Guy” driving his ice-cream truck down the street. Or “Little Louie,” the UPS man, and Gus, who had a merry-go-round on the back of a pick-up truck and for ten cents a kid could get on it and Gus would pull the thing around by hand. The subways, the candy stores, the movie theaters and so much more once again became vivid sights. I guess I should end by saying that unexpectedly revisiting all of these memories became a part of the journey. It enabled me to see not only myself but my family and friends and so many things from days gone by. It was almost as if I were watching an old Super * movie reel. Talk about “perks” of the job. WOW!